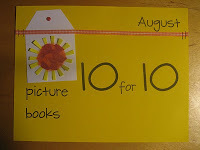 Many thanks to teachers Mandy Robek and Cathy Mere for creating the August Picture Book 10 for 10 event! Click on their names above to visit their blogs where you’ll find links to more Top 10 picture book lists from bloggers around the kidlitosphere. My list has more than 10 titles, because I’ve included several series–same authors with (usually) the same illustrators and the same lovable cast of characters. As a school librarian in a culturally and linguistically diverse school district, I’m always looking for books that highlight different cultures and life experiences for my students. Books introduce kids to everything from Cinco de Mayo to Ramadan to the life experiences of an undocumented immigrant child in the U.S. But my students also want stories about fairies and friends, monsters and space travel. Say “HEY!” to your neighbors and get your dance on! 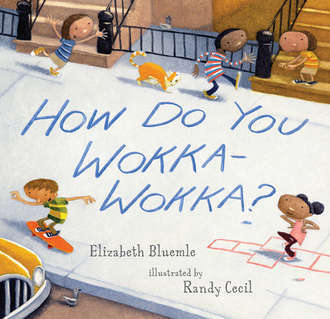 Jazzy rhythms, silly rhymes, and welcoming images are guaranteed to entice little readers. 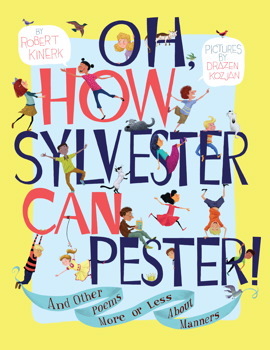 Robert Kinerk pokes fun at what can happen when good manners are neglected. From Eleanor Ickity who is served nothing that she likes to eat or Sylvester who can pester and pester and pester, this charming cast of characters will warn the ill mannered about the consequences of their shameful behavior. 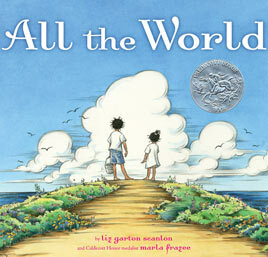 All the world is here.It is there.It is everywhere.All the world is right where you are.Now.Following a circle of family and friends through the course of a day from morning till night, this book affirms the importance of all things great and small in our world, from the tiniest shell on the beach, to warm family connections, to the widest sunset sky. 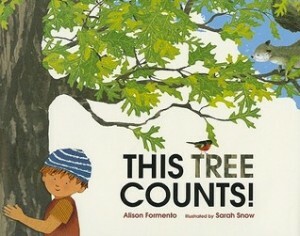 Art is so much more than easels and paintbrushes as this delightful new picture book by two exciting talents makes clear. Follow along as a classroom of exuberant young kids explore art and the power of creativity in its most varied forms-painting, music, writing, cooking, performing … there’s no end to where their imaginations can take them! 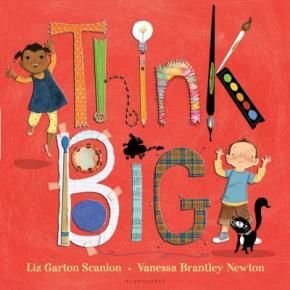 The lilting poetry of Liz Garton Scanlon’s text pairs perfectly with the playful art of Vanessa Newton in this warm, thoughtful, and-of course-creative picture book. 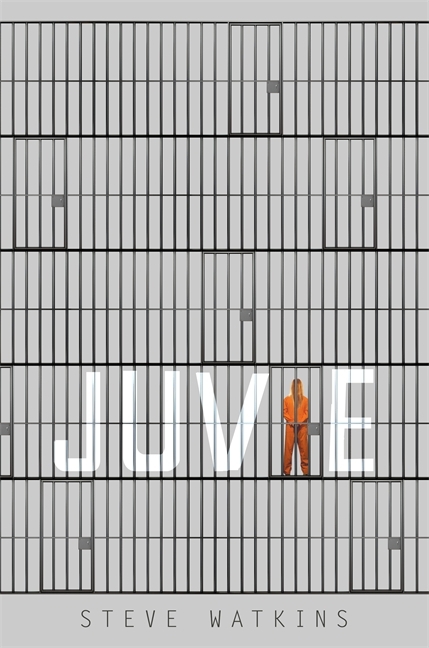 Young listeners will want to jump right into the pages to find their own muse. 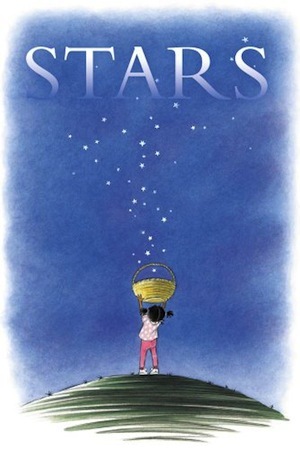 What if you could have a star?From acclaimed author Mary Lyn Ray and two-time Caldecott Honor winner Marla Frazee comes this tender, evocative—and profound—exploration of stars both near and far. When a class leaves for recess, their just-baked Gingerbread Man is left behind. But he’s a smart cookie and heads out to find them. He’ll run, slide, skip, and (after a mishap with a soccer ball) limp as fast as he can because: “I can catch them! I’m their Gingerbread Man!”With help from the gym teacher, the nurse, the art teacher and even the principal, the Gingerbread Man does find his class, and he’s assured they’ll never leave him behind again. Guess who gets to go along on a field trip to the firehouse? The Gingerbread Man! But when he falls out of his classmate’s pocket, Spot the Dalmatian comes sniffing around. 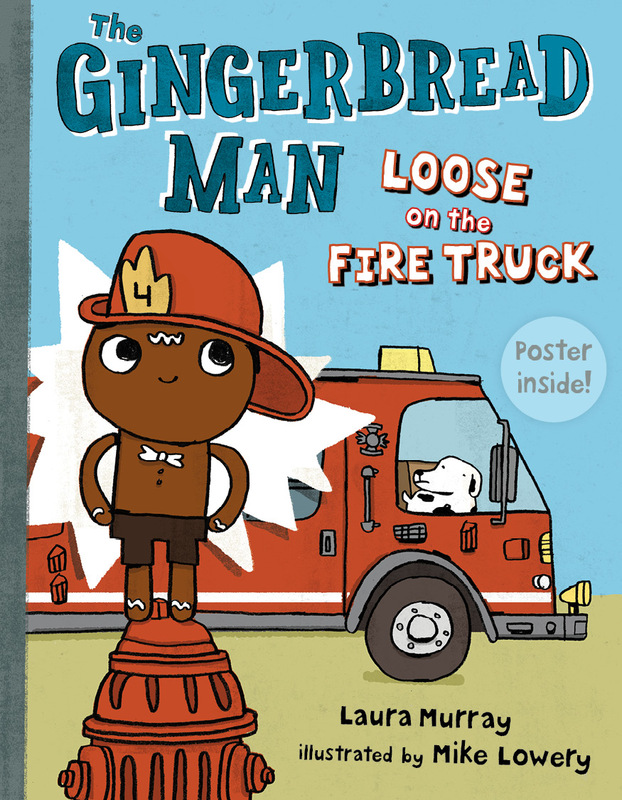 Luckily, this Gingerbread Man is one smart cookie, and he races into the fire truck, up the pole, and all through the station, staying one step ahead of the hungry dog the whole time. 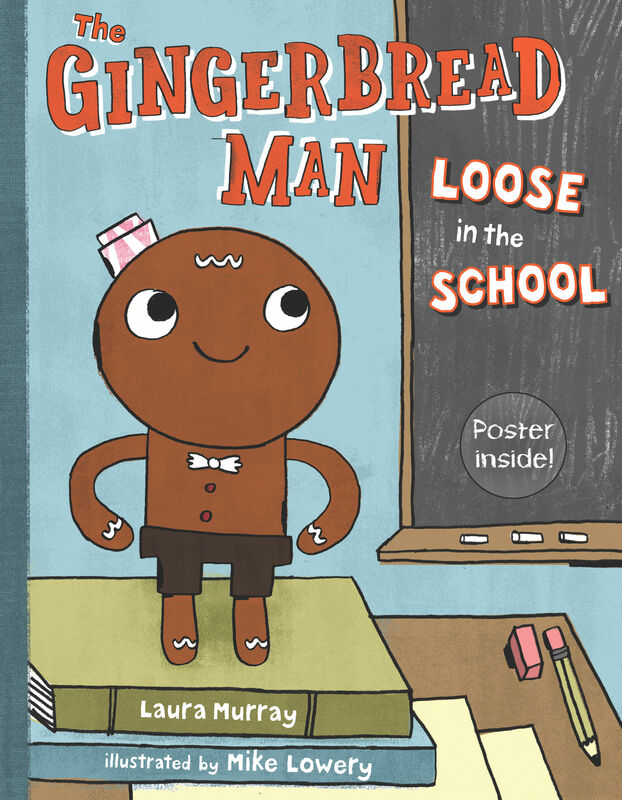 With snappy rhymes and fresh illustrations, the Gingerbread Man makes a sweet return in his second school adventure. Could a tulip be a good place for hide-and-seek? Could a bit of dandelion fluff be a pillow? They could be, if fairies live nearby. This book invites kids to have a backyard adventure searching for the telltale signs of fairies who might be residing all around them. 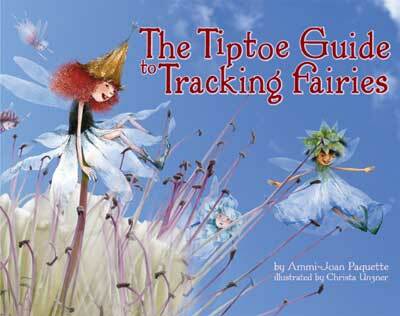 Not only can children “search” for fairies in the book’s unique blend of art and photography, but they will also be encouraged to discover the wonder and magic in nature, whether in a backyard or a local park. Have you ever walked on the beach and looked for shells or clams? There are creatures, more like you and me, who are even more interesting to look for. Most people don’t see them, but they might just not know how to look for signs. 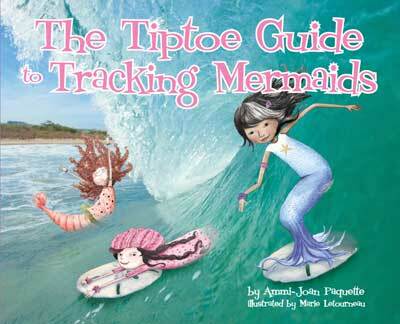 That sand dollar – why, that could be a mermaid-size surfboard. Those twisted reeds – a bed for a lovely afternoon mermaid nap. And if you peer closely into the water, you might see a mermaid market. A hilarious look at first-day-of-school jitters from author Audrey Vernick and illustrator Daniel Jennewein. 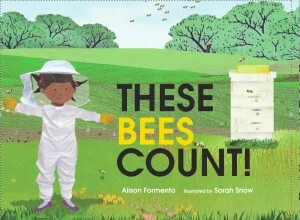 How do bees count? The bees at the Busy Bee Farm buzz through the sky as one big swarm, fly over two waving dandelions, find three wild strawberries bursting with sweetness . . . As the children in Mr. Tate’s class listen, they learn how bees work to produce honey and make food and flowers grow. Bees count–they’re important to us all. If you listen carefully to the lone tree behind Oak Lane School, it has a story to tell about… one owl, two spiders, three squirrels, four robins, five caterpillars, six ants, seven crickets, eight flies, nine ladybugs, and ten earthworms, all living safe and free in their tree home. What does this tree need? The children know — it needs friends! Mr. Tate’s class helps clean up a local beach and listens to the sea as it tells them about all the wildlife that make it their home. One whale, two giant sea turtles, three marlins . . . and more. 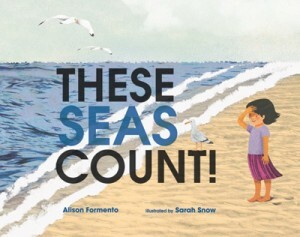 Of course, the class discovers that “this sea counts!” These Seas Count! explores the environmental impact and importance of the seas, and how crucial it is to keep them healthy. Alison Formento’s gentle story and Sarah Snow’s amazing collages combine for a powerful message about the environment and what we can do to preserve our oceans. Want to blast into orbit? Walk on the moon? Snag a personal photo of a shooting star? Well your time is coming! 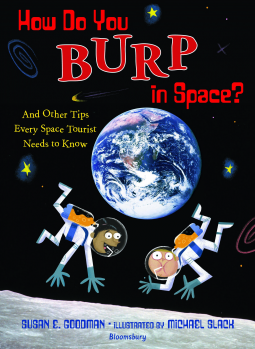 And when it does, you’re going to need How Do You Burp in Space? This guide is filled with the kind of information you’d need to plan any vacation including what to pack (hint: no bubble bath or juggling balls! ); what to expect from your accomodations (a sleeping bag attached to the wall), and what to do for fun (leapfrog on the moon!). Grounded in the history of space travel and the planned future of space tourism, this guide book will leave young adventurers daydreaming about future intergalactic space vacations. Get ready to rock your rocketship! 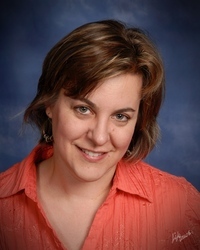 Today Biblio Links welcomes back one of my favorite authors, Audrey Vernick! As kids head back to school, I thought this would be the perfect time to introduce (or reintroduce) readers to the charming picture book Is Your Buffalo Ready for Kindergarten? In tongue-in-cheek style, Vernick advises buffalo owners everywhere how to prepare their buffalos for that all-important first day of Kindergarten. My own kids and students laugh out loud at the buffalo’s antics, but the true message of acceptance shines through. Although diversity is never mentioned in the text, Daniel Jennewein’s illustrations of the students in the buffalo’s classroom reflects a variety of ethic backgrounds. My son gave this book to his Kindergarten teacher last year when we met her for the first time at Open House in August, and I think it would make the perfect gift for the newly-minted Kindergartener in your family or neighborhood. I asked Audrey about ways in which readers connect with Is Your Buffalo Ready for Kindergarten? 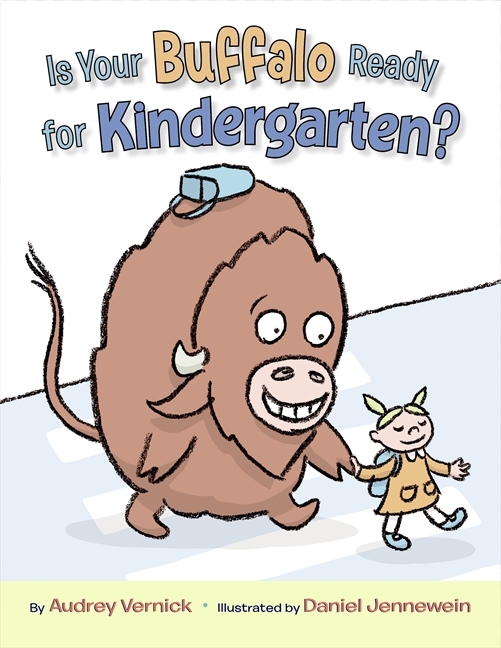 Biblio Links: A student walks into my library and I think: That kid needs a copy of Is Your Buffalo Ready for Kindergarten? 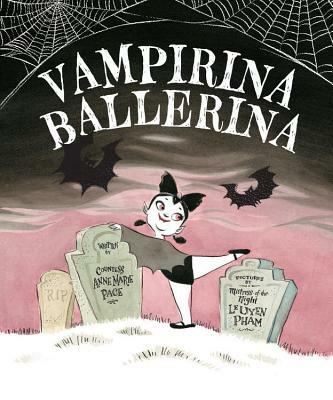 Who is this kid?Audrey Vernick: The year this book was published, I heard from a kindergarten teacher who had a student who was having a very hard time at the start of the year. Inexplicably, the only way he could get through those first few days was if the teacher let him hold my book. That touched my heart–the kind of response you can’t even conceive of when writing a book. So I guess you could say the child who needs a copy of Is Your Buffalo Ready for Kindergarten? might be one who, at the start of the year, has not yet found her way. Of course, it might also be a child who likes a silly book. Or one who wonders, as I did, what chewing cud really means. 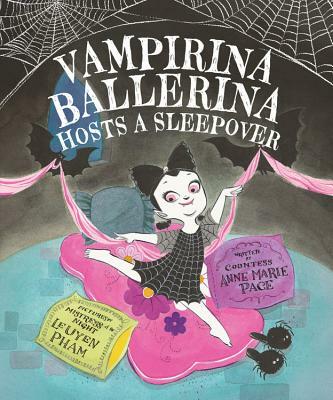 Audrey Vernick: This is another one of those things that I never came close to envisioning during the writing/editing process–but this book really lends itself to classroom use. You might see anything from hoof painting to hula hoop Venn diagrams to cave drawings to the creation of a class guide just in case a buffalo happens to show up one day. Or, you might hear a whole classroom, as one, moaning “Eeeeeeeeeewwwwwwwwwwwwwwwwwwww!” when you reach the page that describes what cud chewing is. Audrey Vernick: Cover your ears, Natalie. There’s an incredible, brilliant, superfun discussion and activity guide for using IS YOUR BUFFALO READY FOR KINDERGARTEN? on my website created by the divine Natalie Lorenzi. (http://audreyvernick.com/BUFFALO_KINDERGARTEN_curriculum_guide.pdf). 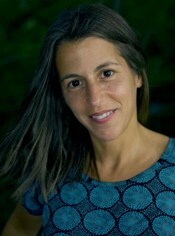 And this page has a bio and a link to recent interviews: http://audreyvernick.com/Bio.html. 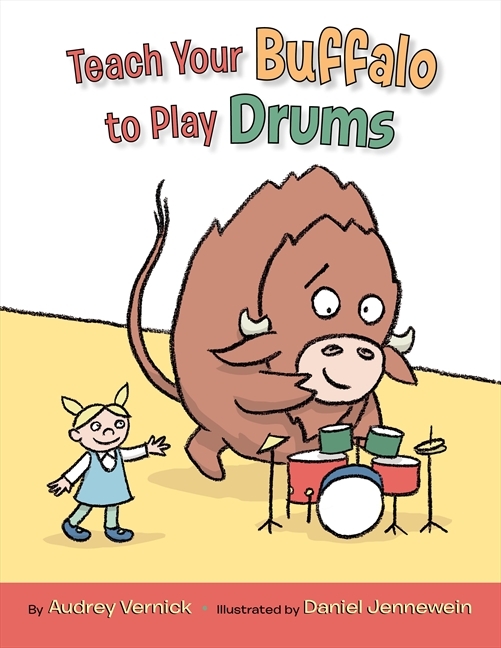 My website also has information about my school visits, other books, reviews, and there’s a page (with link to a free downloadable buffalo door hanger coloring sheet) for this book’s sequel, TEACH YOUR BUFFALO TO PLAY DRUMS. Biblio Links: I’ll also add the Buffalo’s Facebook page here. Thanks for stopping by, Audrey! Check out Audrey’s middle grade novel, Water Balloon, and her other picture books, Bark and Tim, Is Your Buffalo Ready for Kindergarten? and Teach Your Buffalo To Play The Drums, and picture book biographies She Loved Baseball: The Effa Manley Story and Brothers At Bat. Click here for some buffalo love, including a starred review from Publisher’s Weekly. I’d love to hear from other teachers and librarians, parents and grandparents, aunts and uncles…what book(s) do you recommend to ease first day of school jitters? Thanks to the fabulous bloggers at Teach Mentor Texts for today’s meme!